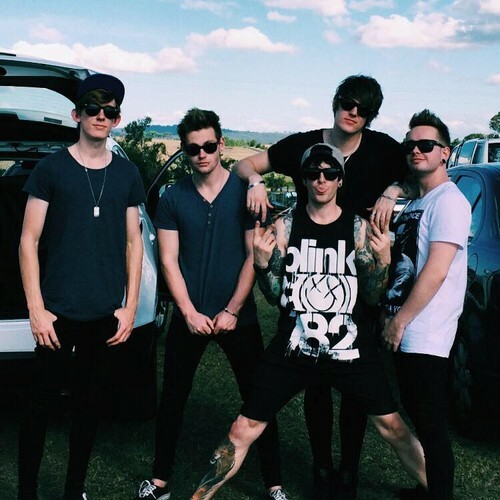 Renowned for their well-crafted, infectious and high-energy live show and stage antics, Call The Shots are a 5 piece pop-punk/rock band from Brisbane. The warmly received release of ‘When Everything Goes Wrong’ EP in 2013 landed the band many successful touring and support opportunities including You Me At Six, Tonight Alive, Short Stack, The Getaway Plan, The Story So Far, Mest, The Wonder Years and most recently As It Is. After completing a headline tour, the band were chosen to fit the final touring position on the Australian Vans Warped Tour where they played among a remarkable collection of international bands Simple Plan, The Offspring, New Found Glory, The Used and fellow Australian band Hands Like Houses. ‘When Everything Goes Wrong’ debuted at #17 on the AIR Album charts and #28 on the iTunes charts. The first single from the EP ‘Alexis Texas’ received success across national commercial radio stations including plays on B105, Triple M Homegrown and Triple J Short.Fast.Loud. The EP features guest vocals from Mest ‘punk royalty’ front man Tony Lovato.